Are you a recent Electrical and Computer Engineering graduate or a seasoned professional preparing for FE Exam? Are you finding it difficult to study for the FE Electrical and Computer exam? Are you looking for a structured and well planned learning resources? If you answered yes to any one of the questions above, then this course is for you! This course is designed to prepare for FE Electrical and Computer exam based on latest NCEES FE Computer-based Testing specification and it will allow you the flexibility to learn anytime, from anywhere, and at your own pace by learning from 100+ lectures and quizzes. The theoretical explanations, example solutions and quizzes will streamline your efforts towards the goal. On-demand preparation for FE Electrical and Computer Engineering exam. It will allow you to gain competency of necessary knowledge areas and develop proficiency in solving multitude of problems. Each section starts with a high level overview which goes over the key knowledge areas, NCEES FE Reference Handbook page numbers, facts and preparation tips that will provide you a bird's eye view. It is not easy to remember all the theoretical details from last term college course let alone recalling those details if the course was taken years ago. That is why every this course is strategically divided into lectures that will fast track your review of theoretical concepts that might be rusty. Simple concepts are presented as such and more complicated ones are explained by going in necessary details. At the end of the day it all comes down to this : "Are you able to get the correct answer ?" It may sound correct but there are few other factors that are of prime importance. One of the most important factor is time management during FE exam. You will not have infinite time to get to the correct answer due to which you are not only required to get the correct answer but also get the correct answer in correct amount of time. The sample problems solved in the lectures along with the ones presented in Study Guide (preparation book that complements the lectures) will try to present efficient ways of solving the problems. It is not sufficient to go through the lectures and examples without testing yourself (sometimes of details that are not offered in the lecture). This will allow you to push yourself a bit and help gain better conceptual understanding. If you have taken other standardized tests such as SAT, GRE, GMAT etc. you can attest to the fact that acing or simply passing any such exam require strict adherence to a schedule and preparation framework. This course will assist you in developing a preparation framework by offering you a package of theory, solved examples, quizzes and references for practice problems. Wasim Asghar is a Licensed Professional Engineer in Texas (PE), Florida (PE) and Ontario (P. Eng) with consulting experience in design, commissioning and plant engineering for clients in Energy, Mining and Infrastructure. He holds Bachelors of Engineering – Electrical with distinction from McMaster University, Hamilton, Canada (2010) and Master of Engineering – Energy Systems from University of Toronto (2013) which was completed with full-time work. In 2014, he undertook a two year project assignment for a mining client in Florida and also decided to pursue PE Licensure in United States. The road to licensure was challenging primarily because of lack of study resources for the FE and PE exams. 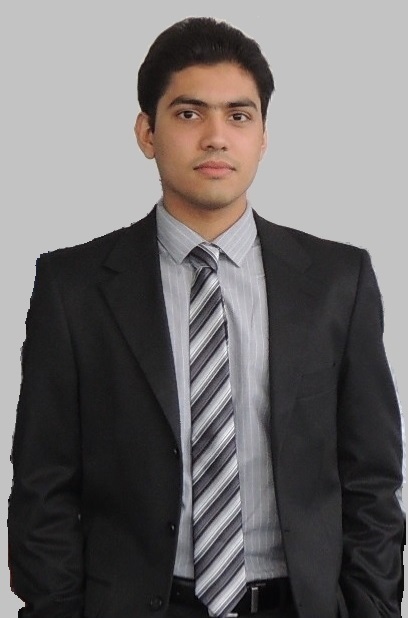 Wasim passed both exams in first attempts (FE in October 2014 and PE in April 2015). The lessons learned during the exam preparation process encourage him to write this book which is designed to help aspiring examinees better prepare for the latest CBT format of FE Electrical and Computer Engineering Exam. The course starts now and ends whenever you want! It is a completely self-paced online course - you decide when you start and when you finish. How is this course different from your book? Study Guide for FE Electrical and Computer Engineering CBT Exam is an excellent 'problem-based learning' resource. This course however dives into the nuts and bolts of Electrical and Computer Engineering examination by explaining necessary theoretical concepts, examples and quizzes. In fact, it is designed such that you will actually be able to maximize your learning experience if you are already using my book for exam preparation! Will watching the videos and solving quizzes be sufficient enough to prepare for the examination? These videos and quizzes are specially developed to expedite your preparation of FE Electrical and Computer examination. The more time and effort you invest in this quest the better your chances of success will be. Are these live sessions or pre-recorded lessons? These are pre-recorded detailed tutorial videos which you can watch as many times as you'd like. It depends on your subscription i.e. monthly or lifetime. After enrolling, you have unlimited access to this course for for the duration of your subscription - across any and all devices you own. Get monthly access to entire course content! Note - Monthly plan is renewed automatically unless you cancel subscription before start of next monthly billing cycle. Get a lifetime access to entire course content!